SMART Event Marketing offers its customers development services, popular blogs and company management for your company blog should not deprive the communication strategy. It is an environment where the company can show off values, demonstrates his expertise in the industry by developing specialized topics of interest and can determine audience interaction, the direct communication with the company. 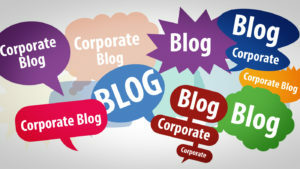 Maintaining a corporate blog requires time, commitment, discovery research topics of interest, editorial development plan and compliance. Most often, employees who could handle the blog have very busy work schedule, so I can not assume the delicate task of writing and publishing articles on the blog. In addition, if you are technical and highly specialized training in their field, they might lose essential details for the functions they perform, but the prospect may represent a language incomprehensible. Therefore we offer a specialized service for corporate blogging communication specialists have developed the SMART Event Marketing Division. Interfere with our expertise, capacity for analysis and synthesis, but also with fine sense of identifying elements of interest of the target audience. From here we start the development of an editorial strategy that we implement step by step development of the company’s image in front of potential customers.